Confused on what the difference between Chapter 7 and 11 Bankruptcy is? How about the difference between Chapter 7 and 13? Scura is here to help. 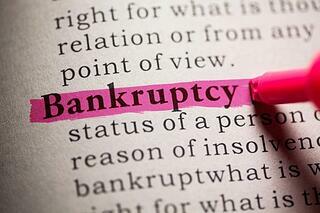 Chapter 7 Bankruptcy is also known as the "liquidation" chapter. This name is somewhat inappropriate in that in most chapter 7 bankruptcy cases no property is actually taken and liquidated. Chapter 7 cases are generally good for individuals or families with high consumer debt that they are unable to repay, such as credit cards and car loans. Upon filing a Chapter 7 bankruptcy, an order for relief is entered with the automatic stay taking effect upon any collection efforts. The automatic stay acts as an umbrella of protection and prevents creditors from taking any further action to try to collect the money owed to them, including stopping lawsuits or garnishing wages. During a Chapter 7 bankruptcy, the bankruptcy court will appoint a trustee to determine whether the debtor owns any property that can be sold to repay some or all of the debt owed to the creditors. Depending upon the value of the asset, much individual property is exempt from liquidation. Individuals with a family home, car and reasonably necessary household goods and furniture are usually able to save them while wiping out credit card debt, medical debt or other unsecured debt. Some types of property, like a second home or a home with too much equity, may be subject to liquidation. If the debtor owns property that is not exempt from liquidation, the debtor must either turn the property over to the trustee for sale or pay the trustee the fair market value for the property. See our section of the website on exemptions for the applicable federal bankruptcy exemptions allowed. Another strategy to protect non-exempt property could be to convert their Chapter 7 case to a Chapter 13 or Chapter 11 and propose a payment plan to cover the value of the non-exempt property. In actuality, the majority of people who file for Chapter 7 do not own any property that may be liquidated. At the end of a Chapter 7 bankruptcy, the bankruptcy court will discharge any remaining debts owed by the debtor that have not been paid off during liquidation, giving the debtor a fresh start. Some types of debt, however, cannot be discharged through bankruptcy, including certain tax debts, student loan debt, unpaid child support and, in some cases, spousal support. Chapter 13 Bankruptcy is the individual or consumer reorganization chapter. Chapter 13 allows the debtor to reorganize their debts and pay them off during a 3-5 year repayment period. Chapter 13 bankruptcies are used most of the time by an individual trying to save a home from foreclosure. Where an individual is behind on mortgage payments, a Chapter 13 can be used to take the amount they have fallen behind and restructure the back due amount over a 60 month or 5 year plan. Chapter 13 bankruptcies may also be used by individuals who have enough disposable income that they will be able to pay off some or all of their debts over their plan of reorganization. When government tax debt or other non-dischargeable debt is owed, the Chapter 13 also provides a mechanism to pay off the debt over a 60 month or five year plan. This will prevent the government from levying on assets and give the debtor time to pay the tax debt over a 60 month plan. In a Chapter 13 bankruptcy, the debtor may design his or her own repayment plan, subject to court approval. The plan must include a proposal for how the debtor will pay off priority debts, secured debts and unsecured debts. Secured debts include items like car and house loans where the debtor gave the creditor a property interest in exchange for the loan. The repayment plan must include regular payments on secured debts. If the debtor has fallen behind on secured debts, such as on a mortgage, the debtor can take the amount that they have fallen behind upon and restructure the arrearage over a 60 month plan. Unsecured debts include items like credit card bills and hospital bills. The debtor should include payments for these items with any remaining disposable income after paying the priority debts and secured debts. Unsecured debts, however, do not have to be paid in full by the end of the repayment plan. In most cases, unsecured creditors receive a lower percentage then they are actually owed and interest is not paid. A very typical chapter 13 plan is where unsecured creditors receive only 5% of the amount owed. This provides a substantial benefit to a debtor in that 95% of the tax debt will be wiped out without any tax ramifications. Outside of bankruptcy if a creditor forgives a debt, the amount that is forgiven is subject to tax. Any debts wiped out in a bankruptcy, however, cannot be taxed to the individual. At the end of the Chapter 13 repayment plan period, the court will discharge any remaining debts owed by the debtor. These may include all or some of the debtor's unsecured debts. If the debtor cannot finish out the terms of the repayment plan, the court may dismiss the Chapter 13 petition and the debtor will be back where he or she started. If the debtor cannot finish the plan for a reasonable cause, such as a sudden job loss or illness, then the court may allow the debtor to amend the current repayment plan, discharge some of the debts owed by the debtor due to hardship or allow the debtor to convert the bankruptcy filing to a Chapter 7. The debtor does have the option of refilling another Chapter 13 case in the event the initial case is dismissed. Unlike those who file under Chapter 7, debtors who file under Chapter 13 usually do not lose any property. The Chapter 13 debtor does, however, have to pay out the equivalent in money of any non-exempt assets over the life of the reorganization plan. In fact, Chapter 13 debtors may keep their assets and, if they are behind on such obligations as mortgage payments, may be able to prevent foreclosure. Chapter 11 Bankruptcies are also referred to as "reorganizations" and usually involve larger businesses. Businesses seeking to reorganize their debts generally file under Chapter 11, but it may benefit some individuals as well. The greatest advantage offered by Chapter 11 over Chapter 13 bankruptcies is that there is no cap on the amount of debt a debtor may have to qualify for the bankruptcy. Currently, the debt limits for filing Chapter 13 are individuals with unsecured debts of less than $336,900.00 and secured debts of less than $1,010,650.00. These debt limits are subject to annual cost of living increases and change over time. Thus, if an individual's debts exceed these amounts, the person would not be eligible for a Chapter 13 and would have to file a Chapter 11. In a Chapter 11, the debtor also known as the "debtor in possession" normally remains in control of business operations while the court retains oversight and jurisdiction over the business. The debtor in possession is required to operate the business in the best interests of the creditors. Any reorganization plan submitted by the business must be approved by the business's creditors. However, in some cases, the business may be able to override the creditors' objections and still have the plan approved by the court. Businesses, just like in other bankruptcy cases, that file for Chapter 11 protection are granted an automatic stay. The automatic stay prevents creditors from filing new lawsuits against the business and also stops any pending litigation until the outcome of the bankruptcy. Filing for a Chapter 11 bankruptcy also allows the business to cancel certain contractual agreements, such as real estate leases and supply contracts, if it is in the business' and creditors' best interests to do so. Chapter 11 cases are by far the most expensive cases from a legal fee standpoint and careful consideration should be given before a business files a Chapter 11 bankruptcy. Changes under the Bankruptcy laws in 2005 provide a special set of rules for small business cases. Careful attention should be paid to these new small business bankruptcy laws. If you need more clarification of the difference between Chapter 11 & Chapter 13 bankruptcy or the difference between chapter 7 and 13, don't hesitate to call. If you are considering bankruptcy, please contact the New Jersey Bankruptcy Attorneys of Scura, Wigfield, Heyer, Stevens & Cammarota, L.L.P. to discuss the best chapter that fits your situation. Visit our Union County Office to speak with our team of attorneys.